Which Flowers Last the Longest? A bouquet of freshly cut flowers are an eye catching sight to behold, especially when they have been sent to you as a gift from a loved one or family member. Of course, due to the nature of flowers they won't last forever, however that doesn't mean that you can't take steps to ensure they last you a little bit longer. Flowers such as Carnations and Orchids are some of the more longer lasting flowers. If you over water your flowers they will bloom and then wilt rather quickly, and on the other side if you don't water them enough they can flop over. 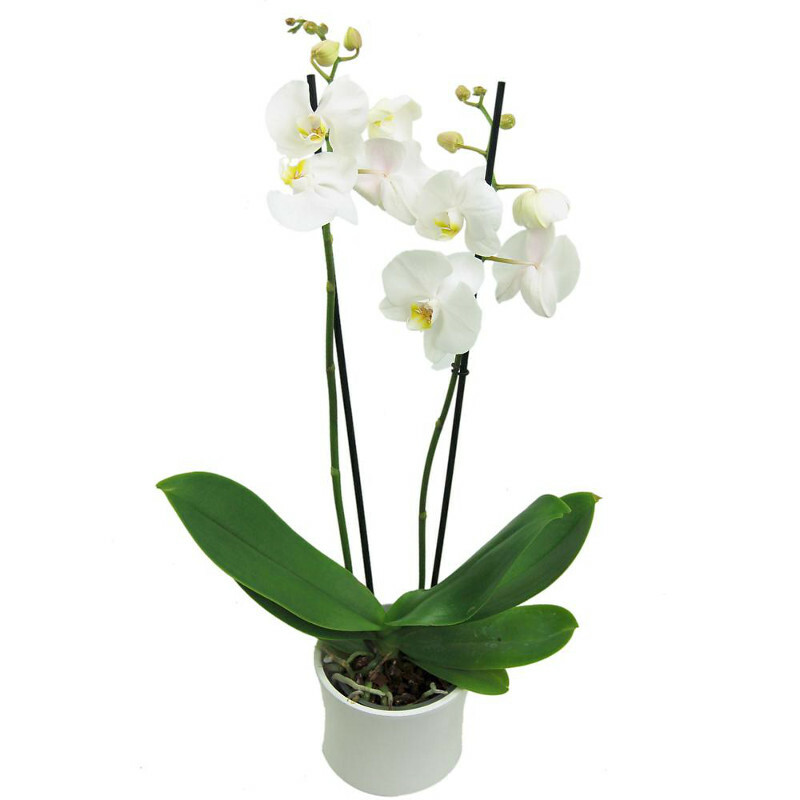 Sometimes you can get an orchid flower to last up to 3 weeks - perfect when decorating the home during the festive period or Easter, and just like any other flower, remove any dead stems or wilted flowers so not to contaminate the rest of the bouquet. Another flower which has been known to last up to 2 weeks is Delphiniums. These gorgeous flowers in deep rich blue and purple tones will stay looking great for you to 14 days provided that you maintain them with fresh water. Chrysanthemums are another long lasting flower, with anywhere from 21-30 days life. Freesias are one of the most popular flowers out there, and for good reason. Whilst not lasting as long as the flowers above, they can generally last for up to 7-10 days with proper care. 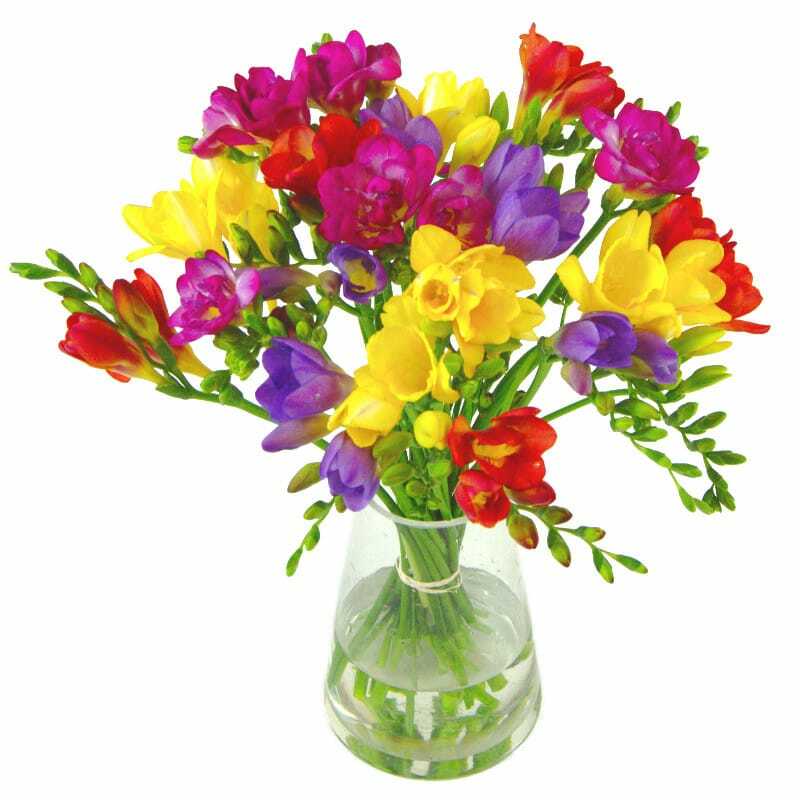 Freesias are an ideal choice for birthdays or anniversaries, to sit with the rest of your birthday cards for the few days following your birthday. Finally we come to Alstroemeria, available in a range of colours from yellow, red, pinks, yellows and whites, these gorgeous flowers can last up to 2 weeks with proper care.